For many Catholics, Sunday Mass is just part of the fabric of our Christian life. We began attending Mass at an early age and became familiar with its structure and content over the years almost ‘by osmosis’. Those of us who attended Catholic schools will certainly have received some teaching about Mass and the sacraments, but for many of us, it is not something that we have studied deeply. In the Adelaide Archdiocese there are two bodies whose role is to do exactly that, the Diocesan Liturgical Commission (DLC) and the Office for Worship. 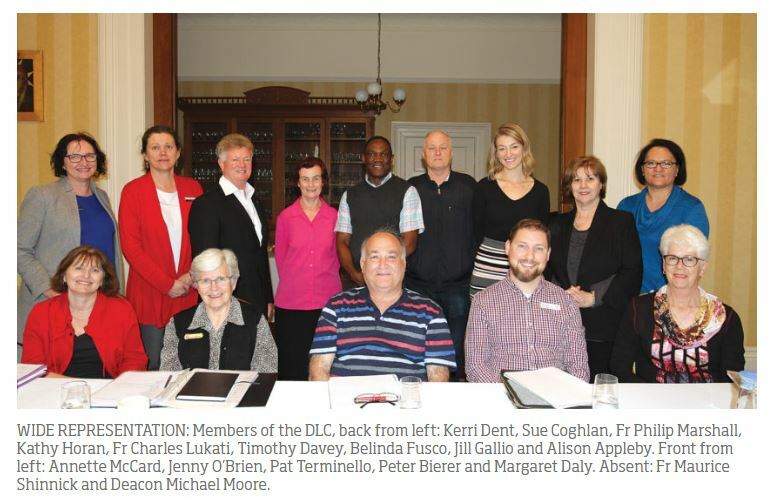 The DLC was established in Adelaide in April 1964, just four months after the proclamation of the Constitution on the Sacred Liturgy by the Second Vatican Council. Its purpose is to be a consultative body to the Bishop, who is the chief liturgist in any diocese. For this reason, those invited to be Commission members generally have some expertise in liturgy, music, art or pastoral practice. Their ‘brief’ is to promote good liturgical practice throughout the diocese and to ensure that there are opportunities for liturgical formation and education for both clergy and the ‘ordinary’ faithful. In order for this liturgical education and formation to take place, a full-time liturgy coordinator was appointed in 1993 and subsequently the Office for Worship was set up in 2004. The role of the Office for Worship is to offer support to parish communities in preparing and celebrating all the liturgical rites – from the baptism of infants to the funeral Masses of those who have died, and all the sacraments and celebrations in between! The aim is to enable the ‘full, conscious and active participation’ of each one of us in the rites of the Catholic Church that enable us to enter into the sacred mysteries. Courses, workshops, seminars are provided on a wide range of topics and can be accessed by contacting the Office (phone: 8210 8287). It so happens that in 2018 both the Diocesan Liturgical Commission and the Office for Worship have undergone significant restructuring. Part of this has involved the relocation of the Office for Worship from Thebarton back into the Diocesan offices in Wakefield Street to facilitate greater collaboration with the Diocesan Events Office whose function is to plan and coordinate a wide range of diocesan celebrations. The membership of the DLC has been enlarged so that there is a wider representation of the faithful of Adelaide. Kathy Horan, also a member of the Office for Worship, is chairperson. The membership has been doubled from nine to 18, so that the voices of young people, migrants, children in our schools, the elderly – in fact all Catholics – can be heard and our Sunday liturgies can become more welcoming, inclusive and meaningful. In this time of parish renewal it is vital that we commit ourselves more profoundly to being true disciples who really hear the word of God not only through the proclamation of the Scriptures but in the sacramental symbols and the music of our liturgies. We hope that the work of the DLC and the Office for Worship will help the whole diocese to enter more fully into the mysteries that we celebrate and so be inspired to care more for each other, for our world and indeed for the whole of creation.